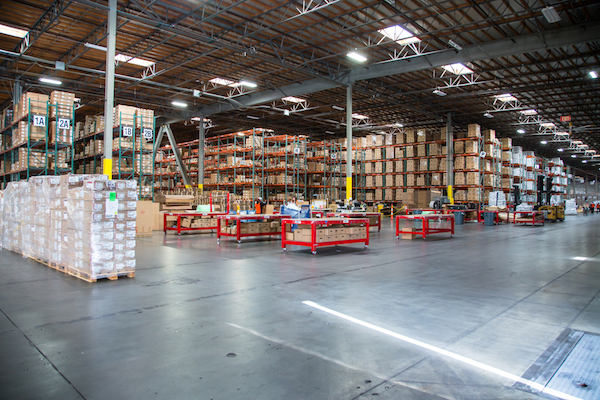 Custom Goods offers a broad spectrum of warehousing and logistic services from six strategically located facilities in the southern California basin. Our Carson/South Bay warehouses are 5 miles from the Ports and offer both drayage and managed FTZ services. CG’s LAX location specializes in ULD & AMJ air pack-outs to Hawaii and Alaska. Custom Goods customers include major retailers, electronics, appliance and automotive manufactures. The four (4) Inland Empire facilities: Rancho Cucamonga (2), Ontario Auto Prep Facility (1) and Fontana (1) offer dedicated teams, space and services to OEM contract customers. CG’s controlled growth and robust service offerings to these primary markets and beyond, make them the leading choice for logistic solutions.